Extreme heat events are the leading cause of weather-related deaths in the US. 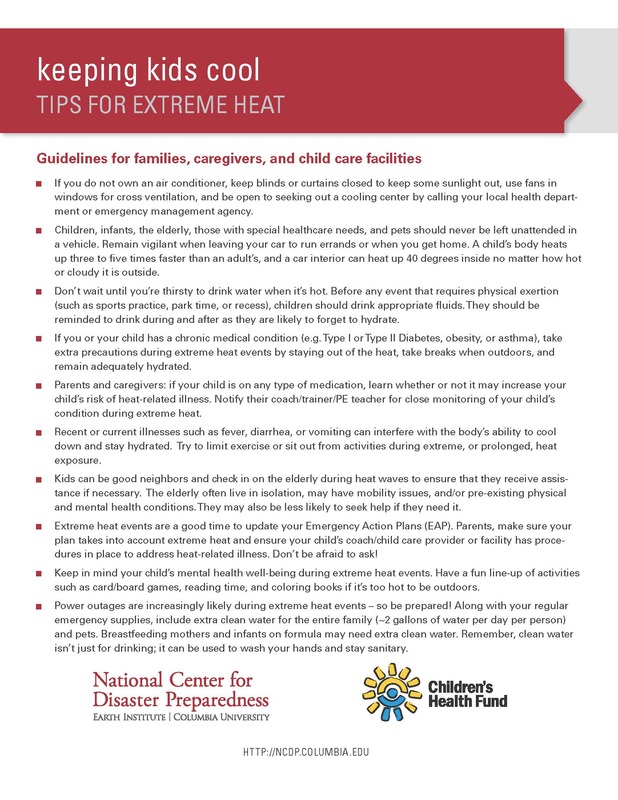 Children, in particular, are sensitive to the effects of extreme heat and must rely on others to keep them cool and hydrated. These tips are geared toward families, caregivers, and childcare facilities which also includes camps and other after-school programs.